My Thai pink egg tomato patch before. . .
And about 3 minutes after. Years ago, I read a magazine article in which several well known gardeners named their favorite gardening tool. Someone, I forget who it was, said theirs was the scuffle hoe, which is sometimes called a stirrup hoe. They went on to describe how it did a superb job of weeding with hardly any effort; you simply pushed and pulled the hoe just under the soil surface and voila! all your pesky weeds were severed at the base, while your surrounding plants and their roots went undisturbed. I immediately longed for one. The ones I found for sale were pricey. I smacked the longing into submission and convinced myself that my life was totally complete despite its lack of a scuffle hoe. 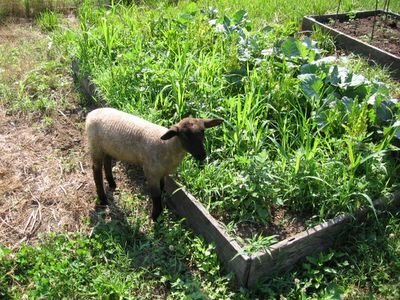 Fast forward a few years to my first spring, complete with giant garden, in Missouri. I'm wandering around a small hardware store that's having a going out of business sale, and I spy a couple of scuffle hoes. They're simply made, don't even have a brand name, but are under five dollars each. Sold! I take one home, attack a small patch of weeds with the oh-so-easy, push-pull motion, and watch in disbelief as my new wonder tool fails to do absolutely anything. I can practically hear the weeds and the salesperson laughing at me. Fast forward several more years. For some reason I can no longer recall, I decide to dust off my scuffle hoe and give it another chance. That famous gardener had raved about it. If he was stranded on a desert island, all he wanted was that stupid, useless hoe. And then I figured out why. The secret of the scuffle hoe is knowing that this is one of those 'specialty' tools that does one—and only one—very specific job. And it does it extremely well. In this case, it eliminates itty bitty weeds that have just emerged from soft, workable, non-compacted soil. My problem the first time around was that I was under the impression it would take down weeds that were already off to a good start. Not a chance. At this point you're probably starting to think that you don't need a scuffle hoe. 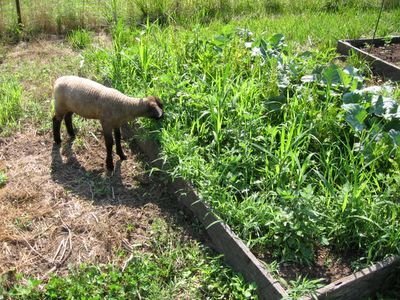 Maybe it's beginning to remind you of those baby tillers you see advertised on television that, when you think about it, really do nothing more than fluff up soil that has already been weeded, tilled, and fluffed up. But you're wrong—about the scuffle hoe, not the baby tiller. Those tiny, innocuous weeds that are oh so easy to ignore will turn into deep-rooted, rampaging monsters faster than you can say "Damn, I forgot to mulch." I've seen one little morning glory sprout practically take over an entire garden in a couple of days. 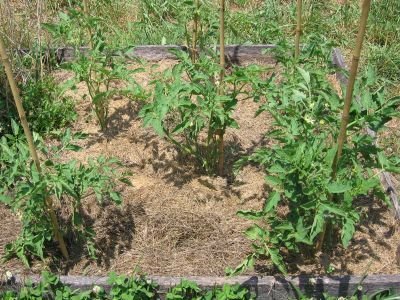 Dealing with these baby weeds before they get a stronghold is the key, but picking them out by hand can be mind-numbing, jaw-clenching work, and using a regular hoe may damage your surrounding plants. This is where the scuffle hoe flies in and saves the day. While doing a little online research for this post, I discovered that there are actually two different implements known as scuffle hoes. There's the kind I have that's shown in the photo above, and there's another type that consists of a triangular-shaped solid piece of metal. Apparently they work in similar ways, although they look completely different. I've never tried the triangular type, but after coming across the Rogue Scuffle Hoe, which is handcrafted in the USA from recycled agricultural disk blades and "cuts pushing or pulling and will be a tool you reach for often," the longing for another new tool has returned. I also have my eye on a couple of other Rogue specialty hoes. And to think that just a few quick clicks ago I thought my life was complete. If you have any experience with this other type of scuffle hoe, I would love to hear about it—especially if it will convince me I don't need one. 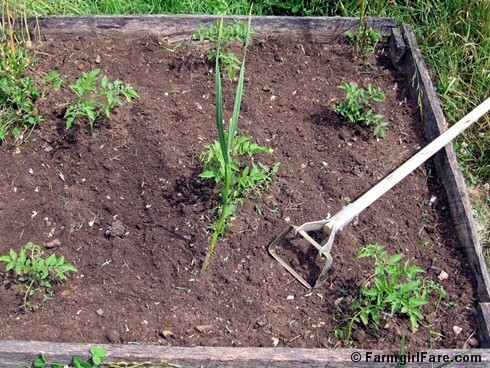 There's only one other thing you keep in mind when bringing a scuffle hoe into your garden, and that is that if you don't bother to mulch your now weed-free soil, those little weeds will come right back. Two weeks later and not a weed in sight. And then you'll be forced to bring in something with a little more power. 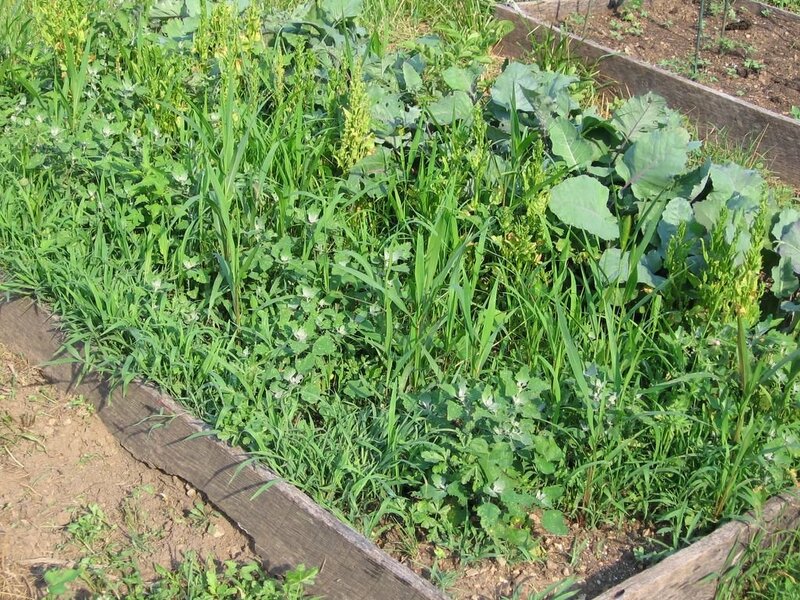 But if you have a Wandering Weed Eater, you will then have to literally take matters into your own hands, and yank out all those weeds yourself. 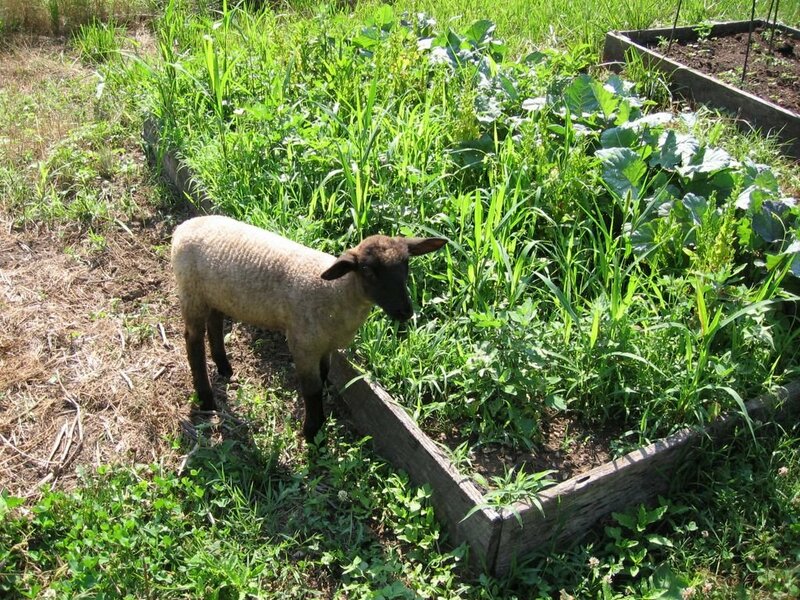 If your soil is nice and loose and fertile, this isn't as bad of a job as it appears to be. I weeded this bed in about 20 minutes, maybe less. On the bright side, finishing such a visible task like this feels extremely rewarding, plus I now have lots of compost material. On the other hand, a little scuffle would have have been a whole lot easier. I just bought a Rogue hoe, but not the scuffle hoe, and I love it. I have a lot of hoes, some useful, some not, and I am ready to get some more rogue hoes! They seem sturdy and well-made and they have SHARP edges. Based on your description of the scuffle hoe, I may try one of those soon! a lot of folks think hoes are digging implements, which is greusome hard work- digging with a hoe. This is my fourth year of gardening, and the year I've been the best at weeding. 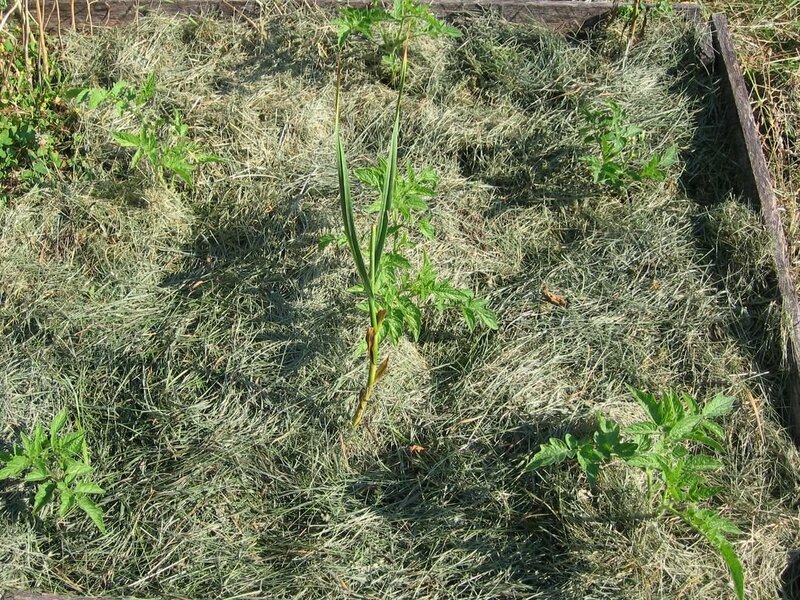 The first couple of years I tried just straw mulching and thinking that would take care of everything. Nope, not quite! Now that I'm getting better at all the hand weeding, I also tried my hoe the other day. Wasn't impressed - felt I really had to tear away at stuff to get it to do much. More chopping action than anything. So I might have to look into one of these fancy hoes you're talking about and see how well they work out. My scuffle hoe is my favorite handle tool. Favorite. And? I found my asian weeding tool, which just rawks. Sooo happy. These things really work? I've had one for yeeeeeears and never touched it. I should try it out. I can't say enough good about my scuffle hoe either. Absolutely love it. It was my tool of choice for hand weeding my 2 acre pumpkin field. I've also seen a small hand held version of a scuffle hoe that looks great too for working in tight places. But instead of a fixed blade it used a thin and very stiff yet slightly flexible wire. I've never used one, but it looks great. A note about Rogue brand hoes. I was a wildland fire crew for two years fighting fire all over the western US, and about half of our tool compliment was Rogues. They are tough, tough tools. They held up great to our use and abuse. I love my scuffle hoe. I did a blog post about mine last week. I think I actually read this post a few weeks ago when I was trying to decide if the a scuffle hoe would help me. And you were right, it did not help at first, because I had let things go WAY too long. 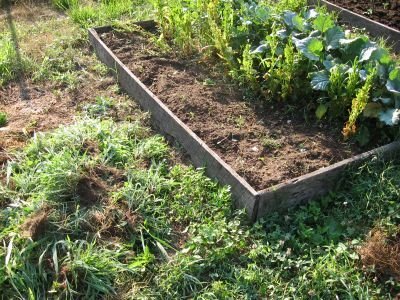 I do not have a weed eater, so I had to use a combination of a regular hoe and handweeding. Back-breaking work. But since I got it cleaned out, the scuffle hoe has been a life saver. My son can even use it. I can do my whole 625 square foot garden in about 15 minutes. It is kind of like vacuuming. I recently bought a scuffle hoe. At first, I wasn't too impressed. It won't cut big weeds, and it doesn't work well in wet soil. But, after pulling all the big weeds by hand, I used the scuffle hoe to prevent small weeds from coming back. It does a superb job for doing that. It's also meditative. 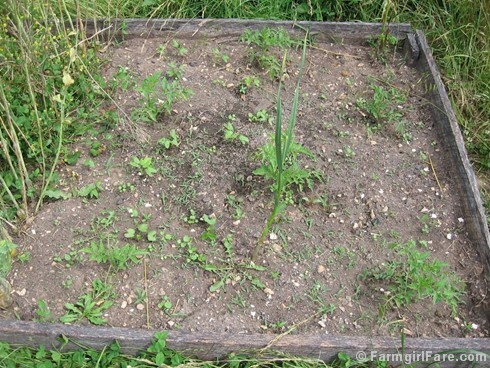 Weeds I don't even see are disappearing as the blade cuts smoothly through the loose soil. My daughter and I like it so much, I'm going to buy a second one as we get envious watching the other person. Wow.. I have a totally different experience with my scuffle hoe. I've had mine for about 10 years and I wouldnt do without it for anything. I love love love mine & it takes down really large weeds with no problem. The only drawback is that it doesnt work in wet soil, unless its really sandy. Even in wet/damp sand it works great. The more clay, not so much. Get a quality scuffle hoe made from a good steel, then keep your scuffle hoe razor sharp. You'll have a much better experience with it. The cheap scuffle hoes, such as the one in your picture, are typically made with a poor quality steel that doesn't hold an edge well. They don't come with a sharpened edge, although I've put an edge of them and they work reasonably. I find the key is a razor sharp edge that cuts cleanly right through the plants, even the toughest, largest weeds. Just be careful around your garden plants, else you will slice through them like butter. On my farm in Nicaragua, I use a scuffle hoe in corn right after emergence. I always do it as the others mentioned, dry loose soil. 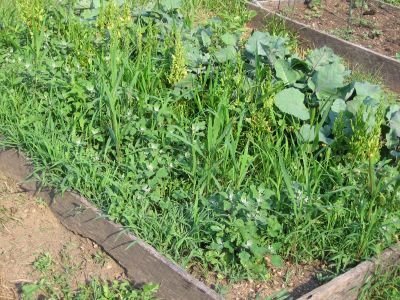 Weeds will generally be too big at the second weeding, but the labor saved on the first pass through the crop is well worth it.